You are buying Enfamil Premium Milk Based Infant Formula Powder 12.5oz Each, Model #4242160. ADW Diabetes offers a complete line of Enfamil baby formula products both in liquid and powder form. We offer these items in both single and discounted bulk quantities for your convenience.At ADW Diabetes, we offer fast shipping, great pricing, and excellent service on all of your baby formula and health care needs. 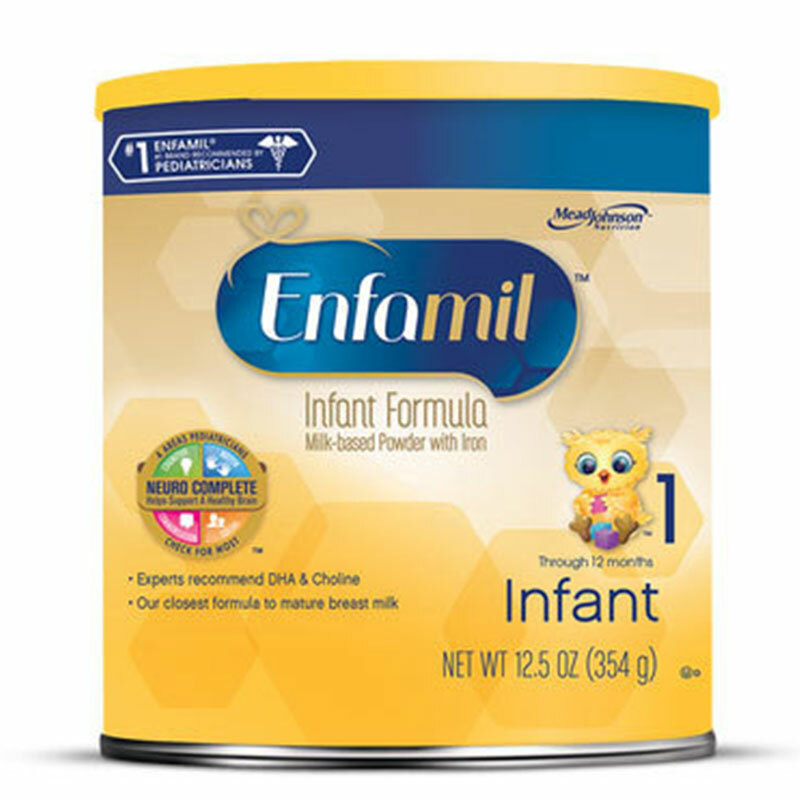 The Enfamil Premium Milk Based Infant Formula Powder 12.5oz is part of Enfamil Staged Nutrition - inspired by the changing nutrition of breast milk. Learn more about Enfamil Newborn and Enfagrow Toddler, too. Natural Defense Dual Prebiotics Blend - designed to help support your baby's own natural defenses. Water, Nonfat Milk, Lactose, Vegetable Oil (Palm Olein, Soy, Coconut, And High Oleic Sunflower Oils), And less than 2%: Polydextrose*, Galactooligosaccharides*, Mortierella Alpina Oil(ARA), Crypthecodium Cohnii Oil(DHA), Whey Protein Concentrate, Potassium Citrate, Calcium Carbonate, Calcium Chloride, Magnesium Phosphate, Sodium Chloride, CalCalcium Phosphate, Ferrous Sulfate, Sodium Citrate, Zinc Sulfate, Cupric Sulfate, Manganese Sulfate, Sodium Selenite, Potassium Iodide, Mono- and Diglycerides, Soy Lecithin, Ascorbic Acid, Sodium Ascorbate, Vitamin E Acetate, Niaciamide, Calcium Pantothenate, Vitamin A Palmitate, Thiamin Hydrochloride, Riboflavin, Vitamin B6 Hydrochloride, Folic Acid, Vitamin K1, biotin, Vitamin B12, Carrageenan, Choline Chloride, Inositol, Nucleotides (Cytidine 5'-Monophosphate, Adenosine 5'-Monophosphate, Disodium Uridine 5'-Monophosphate, Disodium Guanosine 5'-Monophosphate Disodium Uridine 5'-Monophosphate, Disodium Guanosine 5'-Monophosphate), Vitamin D3, Taurine, L-Carnitine.